Walton Ford, Woche Sechs, 2018, Watercolor, gouache, and ink on paper 29 7/8 x 22 3/4 inches (75.9 x 57.8 cm); © Walton Ford; Courtesy the artist and Vito Schnabel Gallery; Photo by Tom Powel Imaging. 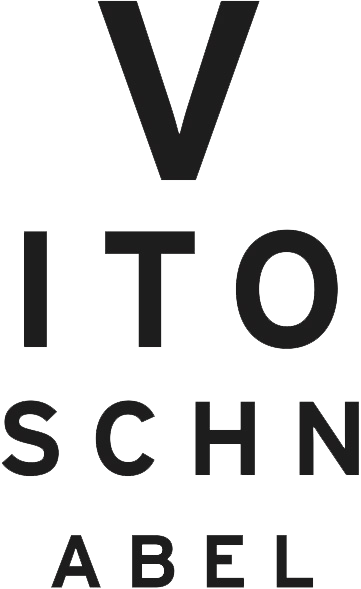 Vito Schnabel (b. 1986 in NY) never had a doubt that his place would be in the art world, the world he grew up in as the oldest son of artist and filmmaker Julian Schnabel and his first wife, the designer Jacqueline Beaurang. He did not focus his creativity on paint brushes, but rather on curating exhibitions, an endeavor he had poured his energy into while attending high school. He curated his first show when he was 16 in a warehouse on Hudson Street which he called Incubator, in his own words a “pretty dark” selection of different artists such as Luigi Ontani, Jorge Galindo and even his sister Lola. Since then, he has been the maker of no less than fifty exhibitions in which he displays a vigorous agenda of historical figures beside young promising artists. The young gallerist currently owns two space, one in New York, and the other in the Swiss city of St. Moritz, a mythical place, as it used to be the former gallery space of powerful merchant Bruno Bischofberger, the person responsible for the success of his father Julian Schnabel and other artists such as Spaniard Miquel Barceló. Elusively and discreetly, Vito Schnabel gives his first interview to the Spanish media. As the son of painter Julian Schnabel you grew up surrounded by art (the works of your father and paternal colleagues, the family collection…). Could you evoke one of those early memories related to the Art? The first exhibition I organized was Incubator in 2005. It was a reflection of what I had grown up around — the art of Luigi Ontani, McDermott & McGough, my sister Lola, Herbie Fletcher, and a few other artists. Some were more obscure than others. You curated your first exhibition at the age of 16 (what artists did you exhibit then?) and opened your first gallery in 2003. What have been the landmark exhibitions of your career so far, and why? The 2005 exhibition I curated of the work of Ron Gorchov—it was the first comprehensive survey of his work, and it led to an solo exhibition at MoMA PS1 the following year—is one of the shows I’m proudest of. Another important show for me was the 2015 inaugural exhibition at our St. Moritz space, Bruno & Yoyo. The exhibition paid homage to Bruno Bischofberger, whose gallery formerly occupied the same space. Urs Fischer created a candle sculpture of Bruno and his wife Yoyo, which we burned over the course of the show. This represented a kind of milestone for me personally and for the gallery, the beginning of a new phase. Since childhood, you have enjoyed a privileged access to major contemporary artists. Which ones have left a mark on you? Could you recall some of your unforgettable experiences with them? Numerous artists have been influential for me, but perhaps most significant have been Rene Ricard and Ellsworth Kelly. I studied with Rene Ricard right after high school. We would go to galleries together three times a week for several hours. One of my favorite times with him was going to see an exhibition devoted to Hans Memling at the Frick. A few years ago, I was able to spend some time with Ellsworth. He told me great stories about his friendship with Joan Miro, how Miro was concerned that Picasso was more important than he was, and how his mind worked in relationship to his career. These insights into an artist’s thinking are fascinating for a curator and gallerist like myself. Do you remember the first exhibition that made an impact on you? My first memory of going to see art is of a visit the Dan Flavin Art Institute in Long Island. I didn’t really know what I was looking at, but the environment that Flavin’s light pieces moved me. It was incredibly exciting to be challenged by something that I didn’t understand instantly, something that I had to think about and allow in. That always stuck with me. And this is why working with the Dan Flavin Estate today and presenting our first exhibition in collaboration with Stephen Flavin is so meaningful to me. How has the art business and specifically the figure of the marchand changed over the past years? For example, what makes different someone like Leo Castelli from the new generation of gallery owners? One thing that separates gallerists like Leo Castelli, Bruno Bischofberger, Paula Cooper, and Arne Glimcher is their relationship with their artists and their dedication to the work first and above everything else. I’ve learned a tremendous amount from both Bruno and Arne, who have been mentors to me. You must let the art lead and trust that the rest will follow. This March, Vito Schnabel is organizing Walton Ford’s first solo show in Switzerland. His work focuses on wild animals and how they exist in human perception. 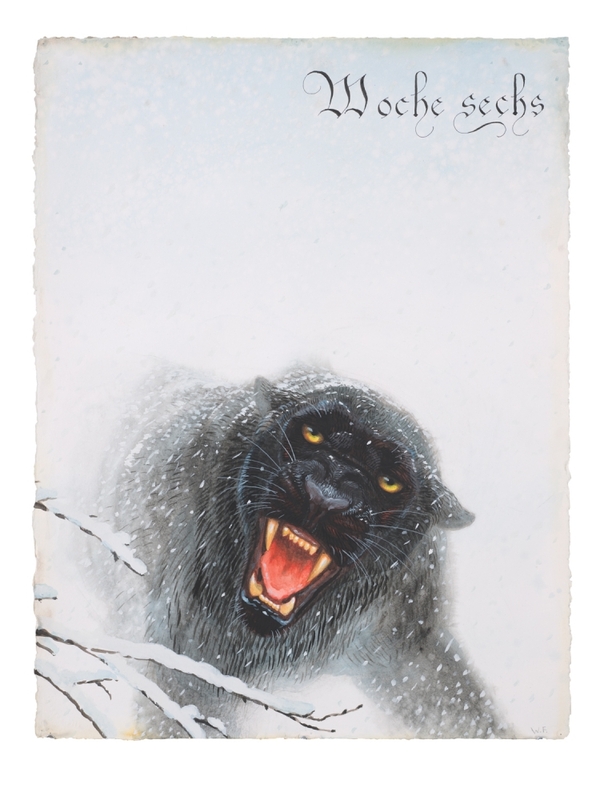 The watercolor works tell the story of a female black panther, who escaped the Zürich Zoo in the winter of 1933. Decades later the director of the zoo, Heini Hediger, published a text about the incident in a scientific magazine under the title: Wild Animals in Captivity. “Nearly ten weeks after the escape, that is not until the middle of December, a casual laborer on the boundary between Zürich Oberland and St. Gallen discovered the panther under a barn and killed it for food. Before that, the information was often received that the panther had been seen here, there and everywhere, yet the whereabouts of the great cat could never be pointed out with certainty, suspicious tracks always turning out to be those of dogs. The most incredible suggestions were made by the public to the zoo authorities; for example, the help of a clairvoyant should be sought to search for the escaped animal, or that it should be exorcised by the representative of a certain religious sect.” Vito Schnabel, founder and principal of Vito Schnabel Gallery, commented: “We are honored to exhibit the work of Walton Ford. The way he has brought together the art historical traditions of John James Audubon and the great naturalists of the past with profound and often challenging cultural themes has established him as a uniquely American artist”.